One-Liner Wednesday – Charlie Brown’s Pumpkin? I know I’m a day late for pumpkin day, but this thing is still sitting in my kitchen and I figured if I’ve got to keep looking at it, you should too. Alex HAD to have it, so for $1, it came home with him. The pictures are actually flattering. 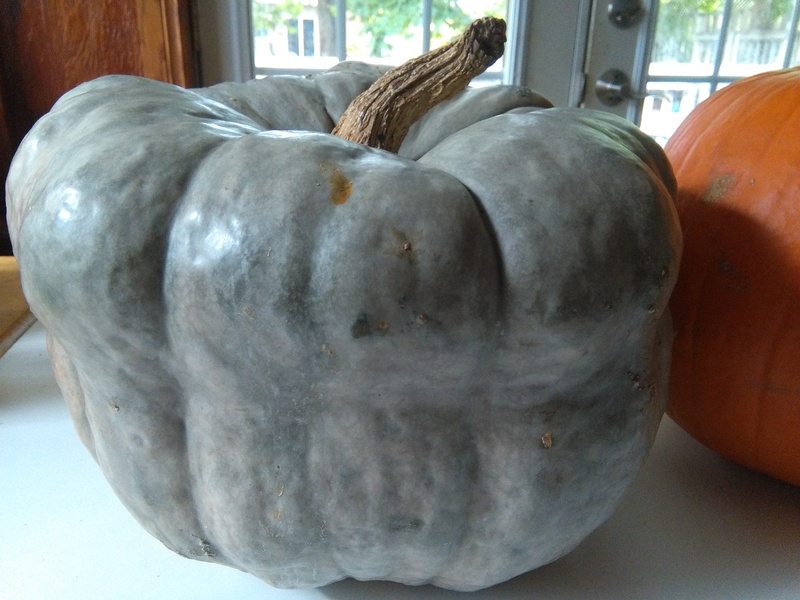 Categories: Blogging, Blogs, Funny, Life, One-Liner Wednesday, Parenting, Photograph, Prompt | Tags: #1linerWeds, gray pumpkin, Hallowe'en, Humor, inspiration, writing prompt | Permalink. Yay! I didn’t realize you can do that when you’re self-hosted. Thanks, Debby. 🙂 Hope you had a happy Halloween too! When we used to get pumpkins for Jack-0-lanterns, I made them into pies. 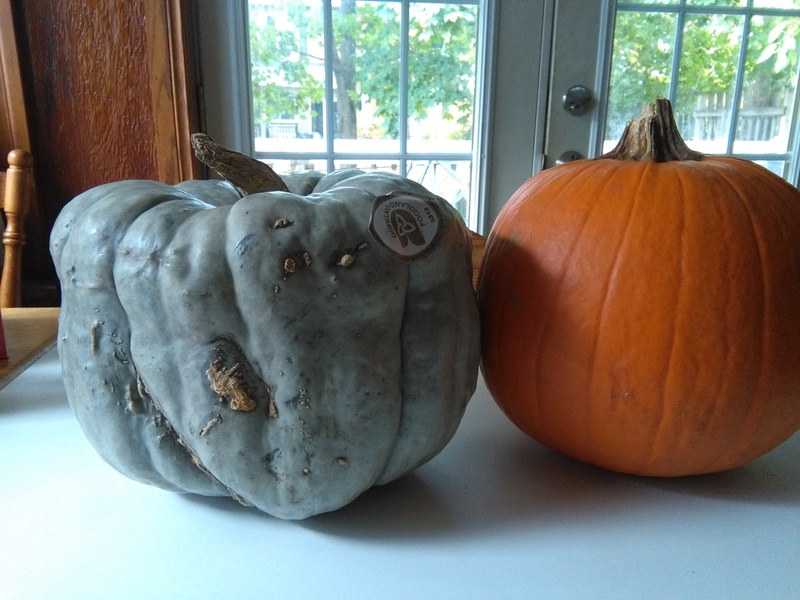 I wonder if the grey pumpkins make good pie. I wonder if they are yellow/orange inside. You’ve got me wondering. I’m wondering too! 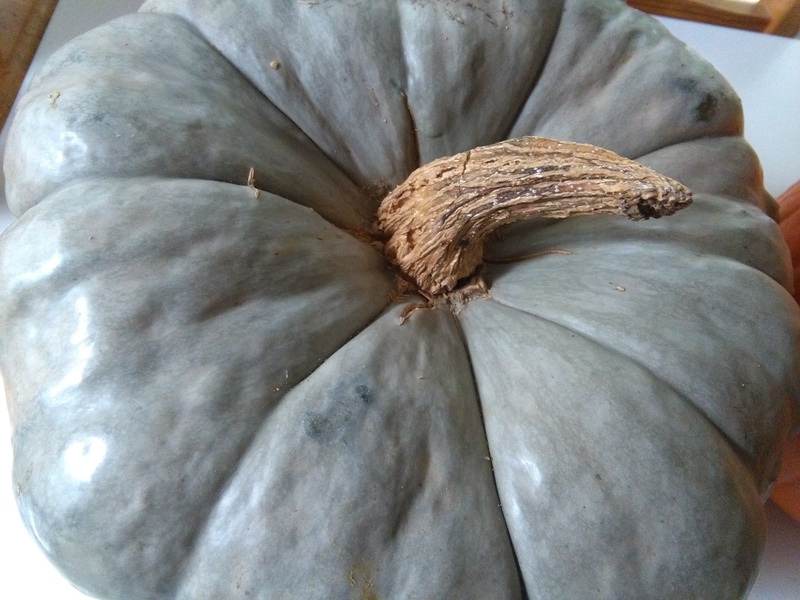 It’s full of something – certainly not as much air as a regular pumpkin is. Pingback: One-Liner Wednesday~Happy | Margret's Life Journey! 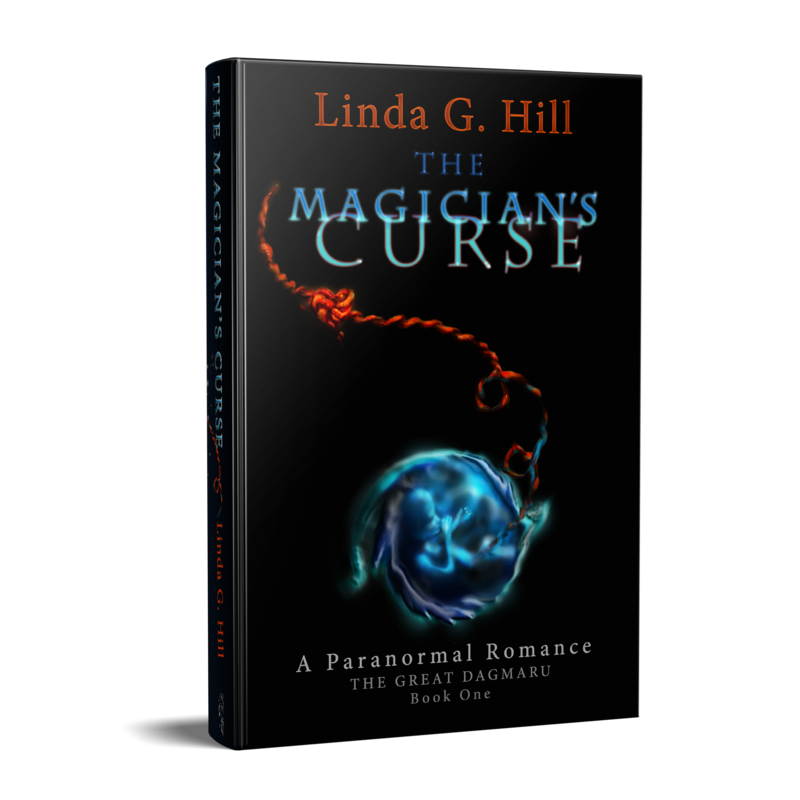 Pingback: One-Liner Wednesday – Good Husband | Martians Attack! That’s actually really neat! Too bad it’s going to go bad and rot soon. If it were a fake, I’d have it out all year! Yes, bluish gray. Dusky, like dead skin. I think it kind of pretty. I had small one that my granddaughter gave me, not carved, lasted till Christmas last year. She made Harry Potter out of it. 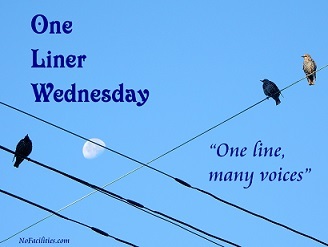 Pingback: One liner Wednesday – One Sentence? – November 1, 2017 | Tessa Can Do It! Positivity is Catching! It’s kind of spooky looking all by itself. 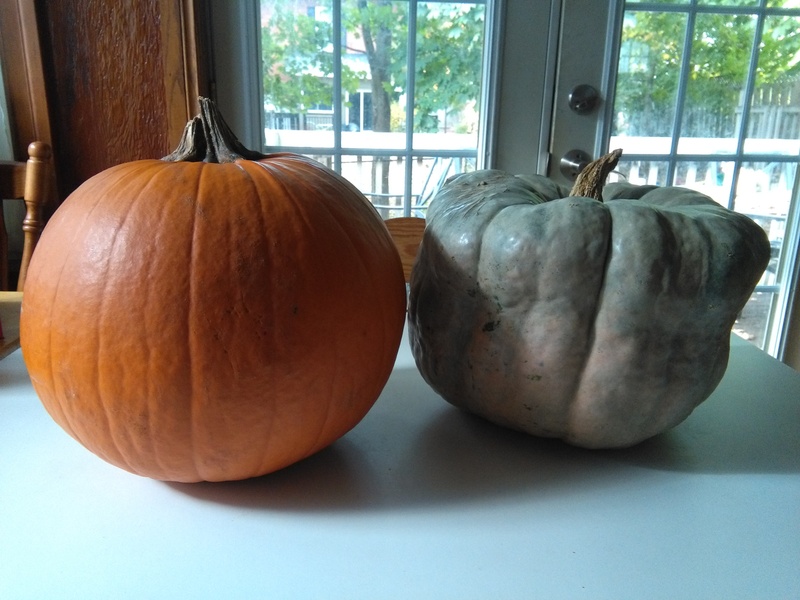 They are both beautiful pumpkins–the orange one because it is perfect and the gray one because it is perfectly not like the orange one. Hii Linda.. Lovely Pumpkins Image..
That pumpkin has a certain charm to it. Alex picked a winner. If I could mail it to you, I would. Every pumpkin deserves some love. This one’s getting lots – I didn’t even carve it! Love these strange looking things!